This article is an update to my continuing series on the the Total Cost of Ownership (TCO) of the Tesla Model 3 compared to other cars. See this article if you want more details on how I figured out the TCO for the Model 3. Why do people buy a car? I’ve purchased or talked my parents into buying 20 cars. What was the reason for buying the cars? The most common reason was I had a car and I was concerned about its reliability and didn’t want to deal with nagging issues, so I decided to get a new or relatively new used car. The other reason was because my kids were old enough to drive and I wanted to get them a car, because it was slow for them to take the bus and I was tired of driving them to school. The other thing that happens is a you test drive a car and it so impresses you that you tell yourself it is because your old car in unreliable that you need it — but it is really because you want that new car. That has happened to me a few times. The Nissan Leaf was that kind of purchase. 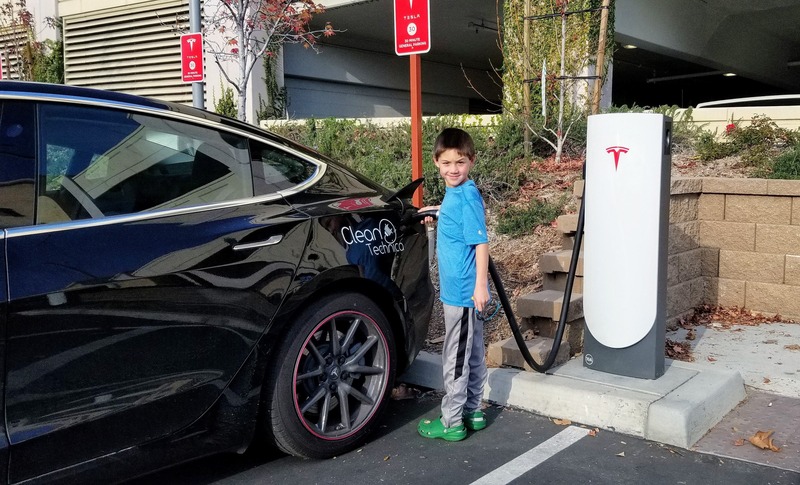 I didn’t really need an electric car, but I wanted one as a boy wants a toy. The depreciation on the new Leaf and lack of a discount meant that it ended up being a poor financial decision. It would have been great if I had leased it to protect myself, but I learned so much from driving that car that it was a good purchase. I have also written about how much I loved my 1999 Honda Accord. 1. The car costs too much. — That is no longer an issue for the upper middle class in the USA as of this week — see the rest of the article. 2. The car doesn’t meet your needs — you need towing, off-road capacity, seating for 7, a pickup bed, etc. — That didn’t change this week, but will in the next couple of years. 3. You don’t want the “hassle” of charging. — This is a real concern for those with apartments in many places and will get a lot better in a couple of years, but is a problem now. I am writing an article on how a new generation of hybrids are coming for this market, but can’t seem to get it done. Life keeps getting in the way. Maybe next week. I’m not saying everyone who drives a car (as opposed to a truck) and lives in a house is going to buy a Model 3, but close. Of course, there will be people who don’t like the look or style of Tesla, or don’t even know the car exists. But it is tough to believe that people who have experienced the car, and realize it costs about the same as a Toyota or Honda, will buy the Toyota or Honda. It’s like if BMW or Mercedes announced they were matching Honda prices on their new cars. Many people would buy the Mercedes, even if they aren’t better cars, just because they like the Mercedes image. This is more powerful than that. Tesla has the premium image of Mercedes or BMW, but also a driving experience that is shockingly different. What does this mean for a car industry that doesn’t make many EVs? It is at risk. Even though Tesla can’t make enough cars to replace all the cars sold each year, it can cause millions to delay their next purchase a couple years more than normal. Let’s face it, today’s gas cars are pretty reliable and can last a long time with proper maintenance. Those buying new sedans who have experienced a Tesla will likely buy the Tesla. Those who need a pickup or SUV will now realize the industry will change more in the next 5 years than it has changed in the last 50 years. So, if they need a new SUV or truck, and if they have driven or ridden in a Tesla, they will likely live with their existing vehicle for another year or two until an affordable Tesla Model Y, Tesla Pickup, or other EV comes out to meet their dramatically changed wants. In short, Tesla ruins gas vehicles for people. This isn’t some future promise on the cover of Popular Mechanics — this is available to order on your phone now and available for delivery in as little as 2 weeks. The Standard Range Model 3 changes the competitive landscape in the industry. I’ve shown my Model 3 to hundreds of people I work or socialize with. Everyone has expressed how nice the car is, and an example of what cars will be like in the future (I realize that some might not share their honest opinion with me), but when I ask people when they are ordering one, they ask me how much the car costs. I always told them it cost $56,000 but because of the tax credit and the gas savings, it is competitive with a loaded Camry or Accord selling for $35,000. I also mentioned that a $35,000 model is coming out someday that will have a little less range and an interior a little less fancy. That someday will go down in history as February 28, 2019. People would tell me they liked the car but don’t need that much range or the fancy interior that much. They were afraid of spending over $50,000 on a car (as I was a little afraid also). I’ll show in this article that the car announced this week is going to make it VERY difficult to sell another midsized car in the US to anyone who has a garage. In addition to lowering the entry price of the car to $35,000, Tesla also lowered the price of the Autopilot feature from $5,000 to $3,000 by taking the below 3 features away from it. This makes it more compatible with the competition’s lane-keeping software (which doesn’t usually have these 3 features). I’m updating an article I wrote 4 months ago that compared the costs to own top selling midsized cars versus the Tesla Model 3. 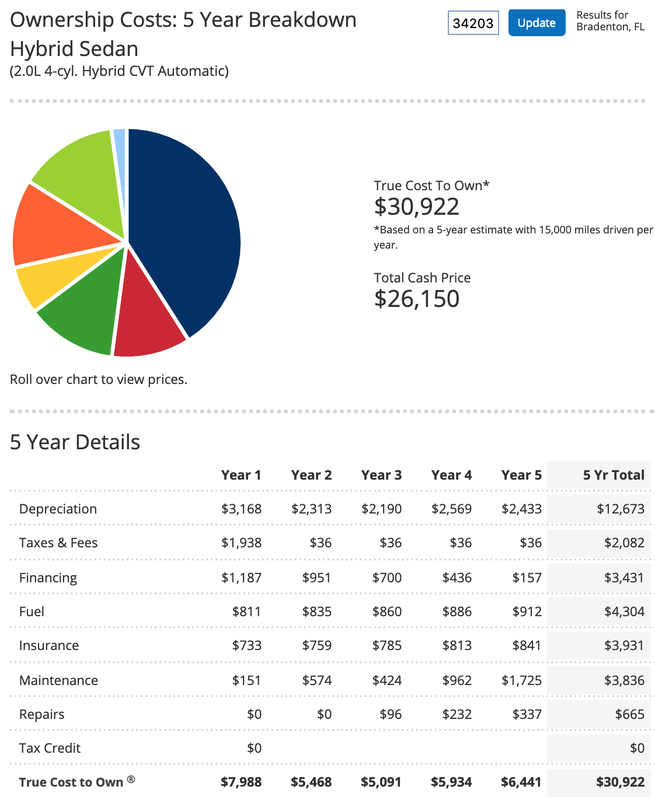 In that article, I concluded that the costs of ownership of the available Mid Range Model 3 was competitive with a loaded Accord or Camry (cars that a few people buy) and that the $35,000 Model 3 would eventually be competitive with the Camry, Accord, Optima, and Malibu that most people buy. That happened on THURSDAY! Note: I decided to include the Camry Hybrid and Accord Hybrid based on reader requests for comparisons to hybrids. I decided not to include the Optima, since Kia has discontinued its hybrid version. I also didn’t include the Malibu since the article was getting a little long, but the Malibu Hybrid uses the Volt powertrain with a smaller battery, so if you are looking at mid-sized hybrids, it’s pretty decent and not like the very disappointing mild hybrid Malibu offered a few years back. As you can see, although the Tesla Model 3 costs about $4,000 to $9,000 more than the cars in the table above up front, once you adjust for fuel costs and the tax credit, the Model 3 costs about the same to drive for 5 years. 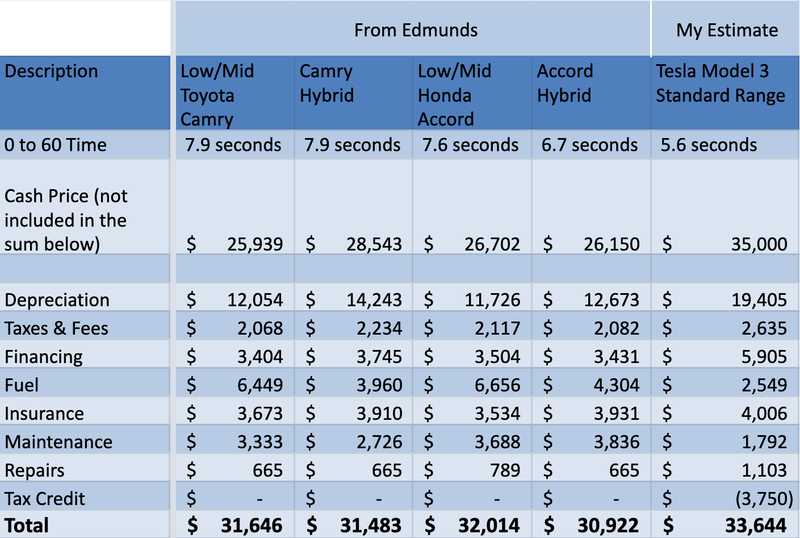 If people move as aggressively to EVs as I hope, the gas cars in the above table will depreciate more quickly than Edmunds is predicting. If Tesla gets its self-driving technology approved for use in the USA in the next 5 years (Elon Musk predicted 3 years in the recent ARK interview), Tesla vehicles will have little depreciation and may appreciate as everyone who values their time buys them to be able to work on their way to work in the morning and on their commute home at night. This is much better than taking a train. You will have your own private office where you can set up multiple workstations, can have video conferences in your car, and can go door to door. It will be society changing when it happens. So, this table above is likely the worst case. Your costs of owning the Tesla Model 3 will likely be much less. Few would argue that the Tesla Model 3 isn’t extremely fun to drive or one of the safest cars ever built, but until now, many have talked about the Tesla Stretch and how many people (including me) have been willing to pay more than they have ever paid before for a car to get the unique features, like over the air updates, only available on a Tesla. Now, this amazing award-winning car is available to all new car buyers at less than the $37,149 average vehicle price as of January 2019. My prediction is, people who are exposed to a Tesla Model 3 by family or friends will take the Tesla since it is available for less money and much lower cost of ownership than the average vehicle while offering better specs. The rest of the car industry, which hoped Tesla couldn’t deliver the car it promised almost 3 years ago, must now figure out how to make a vehicle that people want, while the sales of their gas cars plummet from people either buying Tesla Model 3s or inspired by the car and waiting for an electric vehicle that meets their needs. Related: Tesla Model 3 vs. 21 Competitors (Specs & Prices) — Which Car Is The Best Value For The Money?